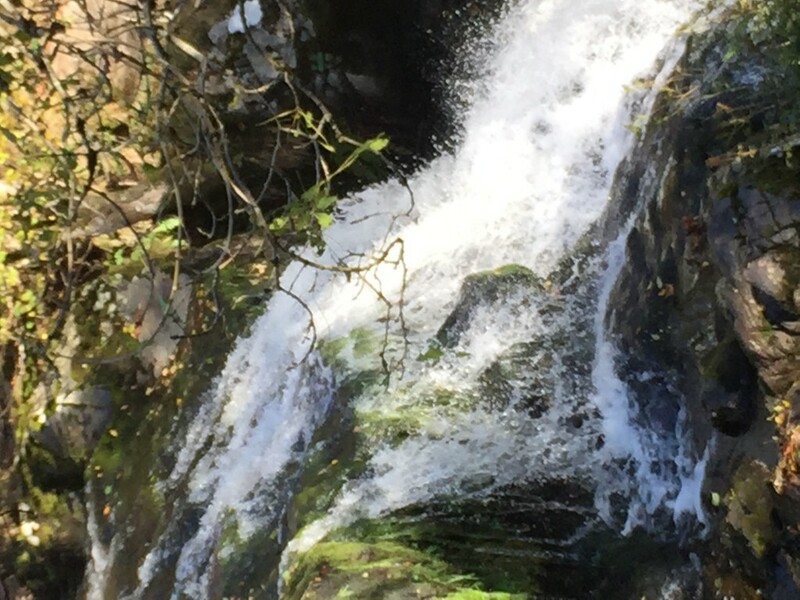 What is it about waterfalls that draws us to them? Is it the roar and force of the waterfalls that are so enthralling? Or, perhaps it’s the fact that there seems to be no limit to their power and energy, with their never-ending flow of water being a constant source of wonder. Maybe it’s just that they always seem to be in idyllic beauty spots, unhindered or spoilt by human endeavour. What’s certain is that waterfalls seem as popular as ever. In an age where everyone is so busy and continually on the move, they have the ability to make people step out of their hectic everyday lives and just – for a few moments – stand back in wonder. Three waterfalls really worth a visit are Aber Falls in North Wales, Hardraw force in the Yorkshire Dales and Aira Force near Ullswater in the Lake District. Seeing Aber Falls requires a little effort. It’s about a mile’s walk from the nearest car a park at Bont Newydd, just near Abergwyngregyn at Junction 13 of the A55. It’s a really pleasant stroll up along the river. You can hear the falls before you see them. 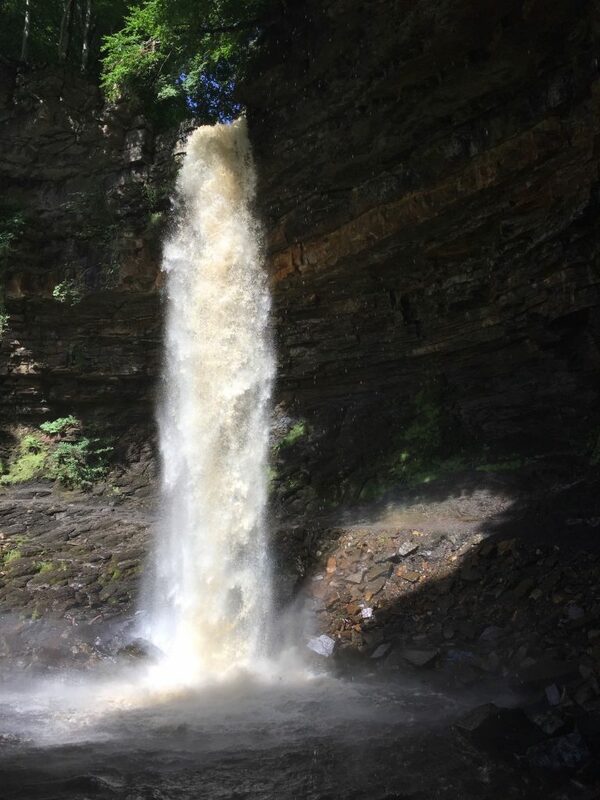 The falls themselves are an impressive 120 foot drop. Water collects and gathers in the Carneddau mountain range and then launches itself off the mountainside on its way to the Irish Sea. The water spray and sheer force of the falls take you back. You can’t help being impressed. Hadraw Force, in Hadraw, North Yorkshire is in the heart of the Yorkshire Dales. You have to pay to see them as they are sited on land owned by the Green Dragon Inn. You pass through the Inn and follow a path for about 200 metres before you witness what’s claimed to be the largest single drop waterfall in England. The water flowing over this 100 foot drop is very impressive. 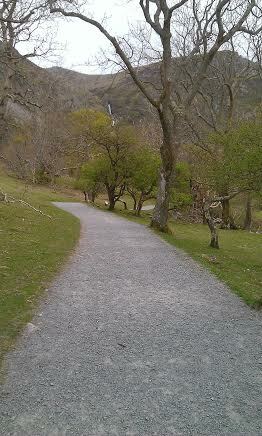 Perhaps not as raw and powerful as Aber Falls, but very pretty and scenic. Because the water falls into an alcoved pool, there’s an intimate intensity about these waterfalls. 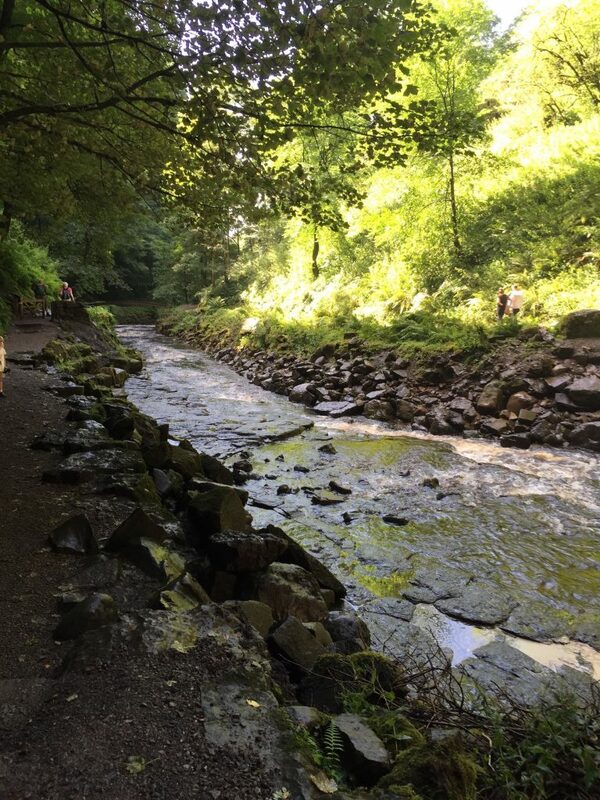 Although there’s an impressive 70 feet waterfall at Aira force, near Ullsawater, the ability to walk alongside the water on a network of paths must be the main attraction of this site. Water flows from Gowbarrow summit down into Ullswater itself. 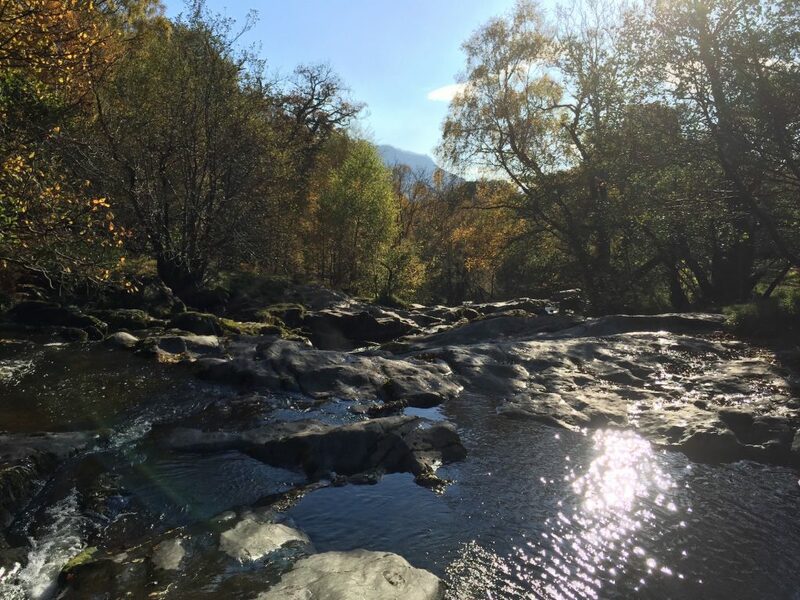 Visitors can walk up from Ullswater through wooded gullies to watch and witness the water thundering through a series of narrow gullies. 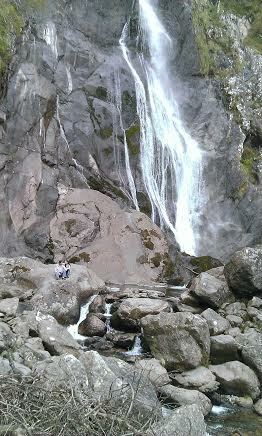 Now owned by the National Trust, these falls are the largest and most spectacular in the Lake District. ← A six mile circular walk around Elterwater, Lake District.